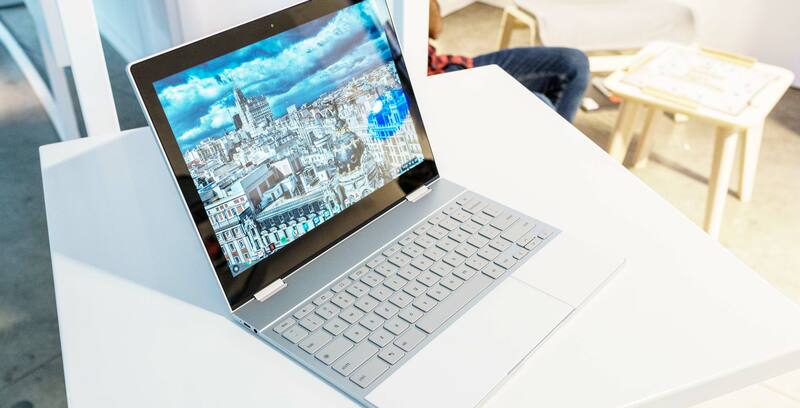 In between announcing two new smartphones, two new Home smart speakers and a Narrative-like point-of-view camera, Google also announced a new premium Chromebook, called the Pixelbook, that likely left a lot of onlookers with a sense of déjà vu. After all, this is not the first time Google has announced a premium Chromebook, but where the Chromebook Pixel was a head scratcher, the Pixelbook might actually find an audience. 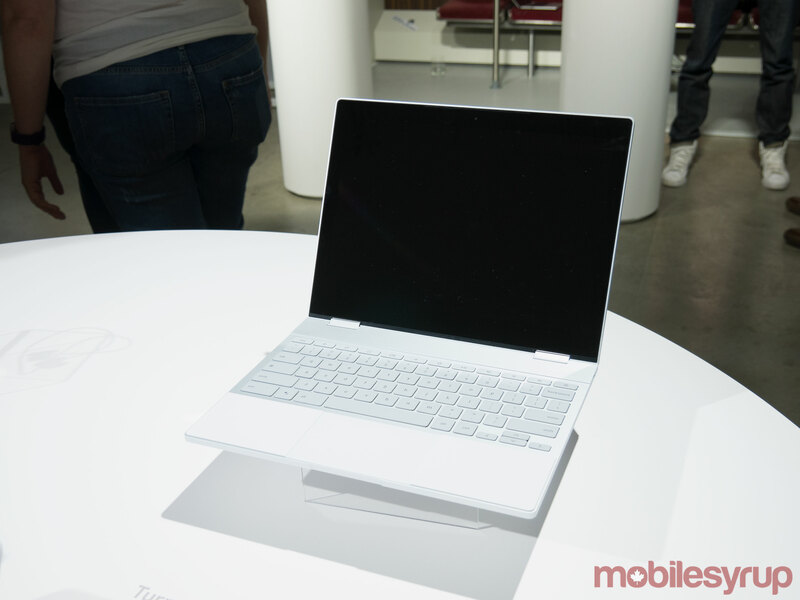 At 10mm thick, the Pixelbook is the company’s lightest laptop to date. It’s also more than just a laptop; Pixelbook is able to assume four different configurations. Mostly significantly, besides functioning like a laptop, the Pixelbook can also work as a tablet. I wouldn’t call the design exactly beautiful, but it does feature some nice flourishes. For instance, next to the glass trackpad sit two silicone palm rests. They serve multiple purposes. When typing, they provide some much needed support and an extra bit of comfort. When using the Pixelbook in its movie mode, the palm rests ensure the device doesn’t move around. 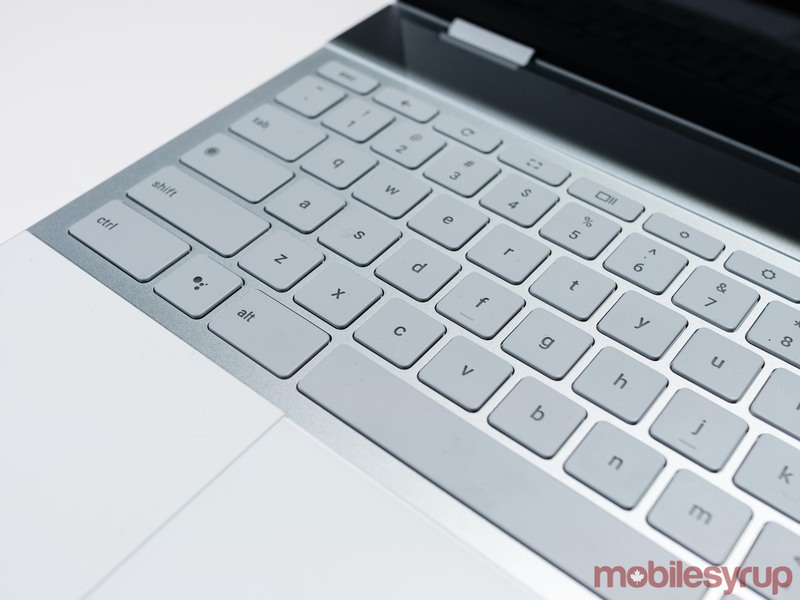 Speaking of the typing experience, if you’ve used almost any recent laptop with chiclet keys, then the Pixelbook keyboard will feel familiar. Key travel is only 0.8mm, but the chiclet keys don’t feel mushy in the way in some other laptop keyboards do. 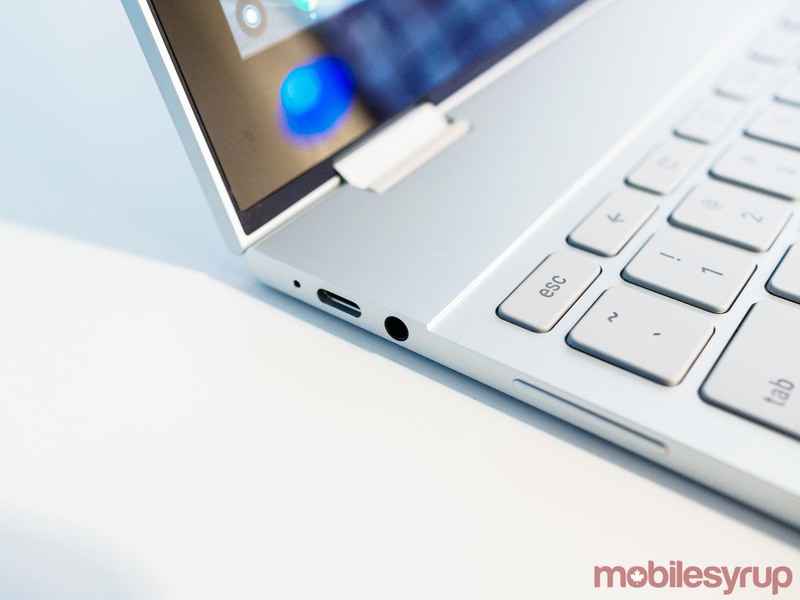 In terms of connectivity, the Pixelbook comes with two USB-C ports and a 3.5mm headphone jack (the latter being noticeably absent from its smartphone sibling). In conjunction with the Pixelbook’s 45W charger and fast charge technology, either USB-C port is capable of replenishing the Pixelbook’s battery — which lasts 10 hours on a single charge, according to the company — with approximately two hours of battery life after 15 minutes of charging. When the Pixelbook starts shipping, Canadian consumers will be able to buy an optional $129 Pixelbook Pen alongside their new laptop. Google says it worked with Wacom to develop the Pixelbook Pen. Readers that do any type of graphic design or photography will be well acquainted with Wacom. The Japanese company is one of the leaders in the space. In any case, the end result is a stylus that works about as well as the competition. There’s still some input lag due to the fact that the Pixelbook’s display refreshes at lethargic 60Hz per second. 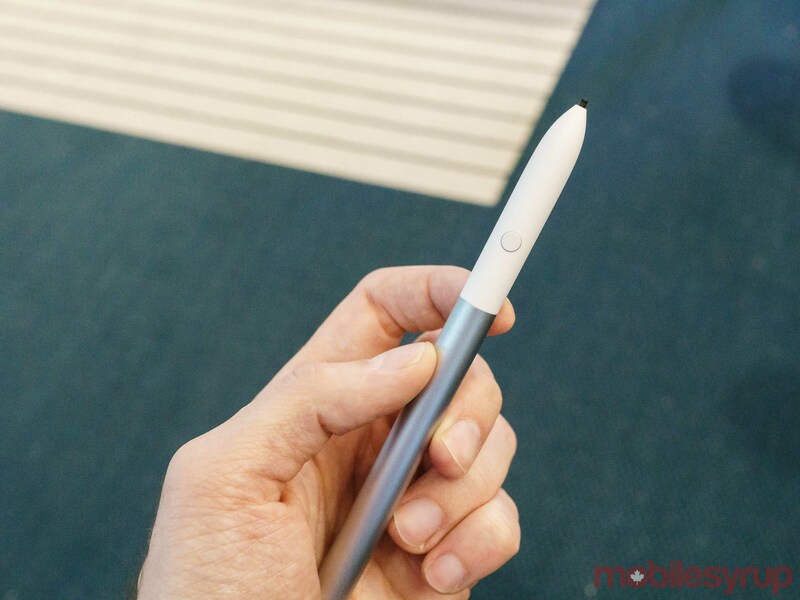 The Pixelbook Pen’s one major differentiator from other styli is its dedicated Google Assistant button. The Pixelbook is the first laptop to ship with Google Assistant. Located partway up the stylus, the button activates one aspect of the Pixelbook’s Google Assistant functionality. With the Pen’s current software, it’s only possible to use image recognition when drawing a circle or box around a picture or piece of text. For documents, you can’t highlight specific words, which forces extra precision on the part of the user. The first time I tried to get Assistant to provide me with the definition of the word, I accidentally drew a circle around one more than word, which confused Assistant. It’s also possible to use one’s voice to interact with Assistant. Alternatively, there’s a dedicated Assistant button on the keyboard that will activate Google’s personal helper. Another nifty software feature is one that’s called Instant Tethering. Should the Pixelbook’s Wi-Fi chip lose connection, it will almost instantaneously re-establish connection with the help of tethering. For the moment, this feature will only work with Pixel smartphones, but if Google does what it has done in the past, then it’s likely the Pixelbook will eventually be able to use this feature with other Android smartphones. Despite its numerous nice touches and interesting features, it’s hard to forget the fact the Pixelbook is still a Chromebook, with all the advantages and disadvantages that entails. Google says a variety of third-party developers are hard at work adapting their existing Android apps to the Pixelbook’s form factor. For the time being, however, a variety of notable of Android apps look woefully out of place on the Pixelbook’s large screen with their smartphone-esque dimensions. 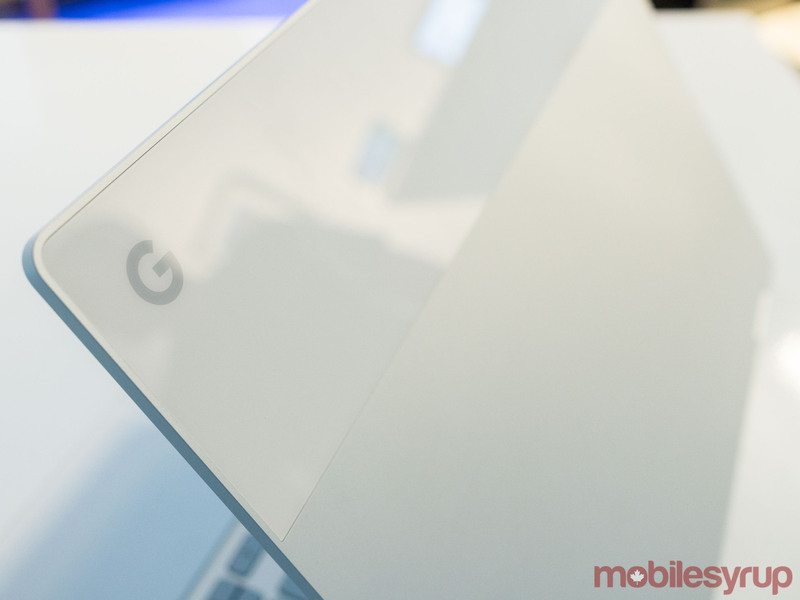 When I asked a company spokesperson the customers Google envisions purchasing the Pixel, they told me that the Pixelbook is for everyone that wants to grow into a more sophisticated device. In other words, it’s for all the students who grew up with a Chromebook and are now and into the future looking to upgrade to a more capable laptop when they leave home for university and college. I still find Chrome OS, even with the addition of Android apps, incredibly limiting, but then I didn’t grow up with a Pixelbook as a my main computer. For some, the Pixelbook will likely be their dream laptop, if price is not an issue. In Canada, the Pixelbook starts at $1299. The base model features a seventh generation Core i5 processor with 8GB of RAM and 128GB of internal solid state storage. The Core i7 model, which also includes 16GB of RAM and 512GB of internal storage, is priced at $2100 in Canada. Notably, both models feature fan-less CPU cooling designs. MobileSyrup will have more on the Pixelbook in the days and weeks to come.